DANOSA offer complete basement structure systems for buried structures in contact with natural terrain. Systems are designed to assure the buildings protection against water, as well as thermally insulating and facilitating proper drainage. DANOSA are the 6th largest European manufacturer of waterproofing materials and construction products with branches and subsidiaries worldwide. As of 2018 the group manufactures synthetic and bituminous waterproofing membranes, liquid and spray applied waterproofing coatings, thermal and acoustic insulation products, specialist drainage layers, geotextiles and skylights. 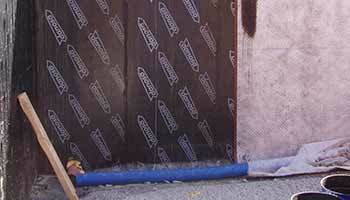 Complete waterproofing, thermal insulation and drainage system. 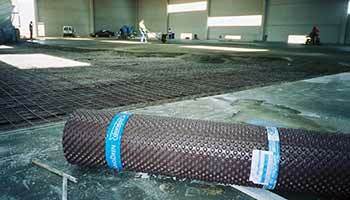 Waterproofing system resistant to root penetration. Easy to install (self-adhesive option). Thermal insulation with zero water absorption. Systems technically evaluated by independent European organisations: French Centre Scientifique et Technique du Bâtiment (CSTB), Spanish Instituto Eduardo Torroja (IETcc). Public buildings such as shopping centres. Public or private residential buildings. Health facilities such as hospitals and clinics. Educational facilities such as schools, day care centres and universities. More than just a pricelist to our partner contractors and distributors and more than just a waterproofing brand to our valued Architectural and specification clients, the DANOSA approach is founded on providing clear, informative instructions from the earliest conception, throughout the design process and to all parties when delivering the completed project. By working together, we ensure that your basement waterproofing provides a long-lasting solution for many years to come. To find out how DANOSA basement waterproofing solutions can benefit your project, please visit www.danosa.com, email jsmith@danosa.com or call 07966 184 732 to speak to our technical experts.